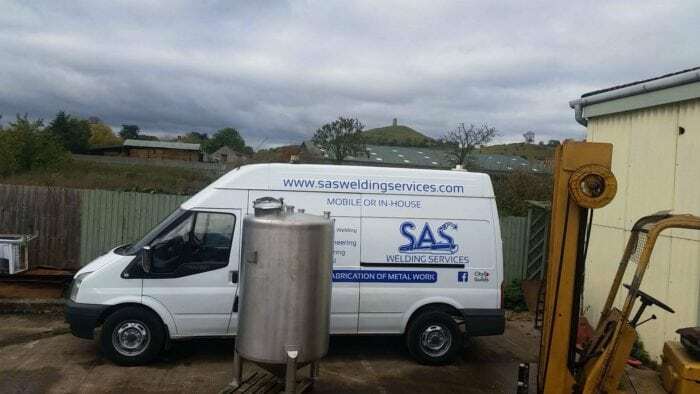 SAS Welding Services were asked by a local Glastonbury water factory to make modifications to a water tank. 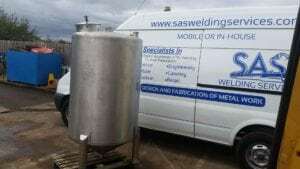 The water tank was brought to our workshop in Glastonbury, in the heart of Somerset. We shortened the legs by 100mm, to bring the tank lower to the ground. We blanked off any unneeded holes. We then cut off base plates, shortened the tubes and then welded the feet back on. This was TIG Welding with 316 wire for a top quality weld. The result looked beautiful, gleaming in the sun, outside our workshop, overlooking Glastonbury Tor. The customer was very pleased with our skilled TIG Welders, who produced a superb professional finish. 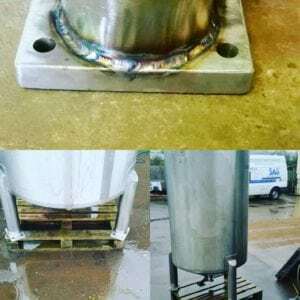 For top quality welds, our TIG Welding service is the place to come in Somerset. Contact us today to discuss your welding requirements.